One platinum and 14 karat yellow gold necklace. One periot (1.92 carats). 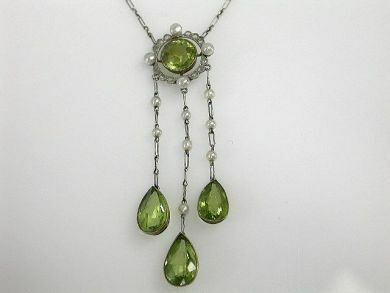 Three peridots (5.49 carats). Twelve rose cut diamonds (0.08 carats: SI clarity: I-J colour). Twelve seed pearls.